We have established a track record of delivering high quality, value-for-money services at pace, which has been recognised with numerous awards of which we are extremely proud. Respected as a benchmark for excellence, a CIPS Supply Management Award is the most prestigious recognition an organisation in the procurement and supply chain profession can receive. We are delighted to have been shortlisted in the Most Innovative use of Technology category in the renowned CIPS Supply Management Awards 2018. This category rewards procurement and supply chain teams that have used technology in an innovative way to improve performance or efficiency. 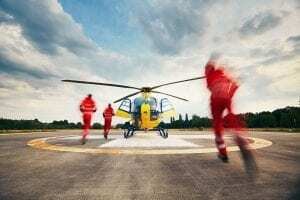 Our submission focused on a collaborative Urgent and Emergency Care Health Model with an Integrated Urgent Care project at the centre which will help improve quality services, better patient experiences and ultimately better outcomes for the Luton population. 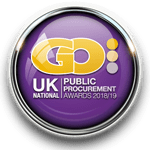 We are delighted to have been shortlisted in four major categories in the renowned UK National Government Opportunities (GO) Excellence in Public Procurement Awards 2018/19. Attain’s CCG customers across Essex were Highly Commended in the Outstanding Procurement Initiative for the Public Finance Innovation Awards. This was for their Collaborative Procurement Project with the three local authorities in Essex for integrating Children’s Emotional Health and Wellbeing Services across the area. Attain provided commercial advice and procurement delivery throughout the project, headed by Sarah Clark, which brought together CCG and local authority leads across Essex to commission an integrated Children’s Emotional Health and Wellbeing Service under a single contract. Lindsay Springall, Senior Manager at Attain, and NHS Vale of York CCG won the innovation award at the Yorkshire and Humber HfMA annual conference in January 2017. The award was associated with the CCG’ss recently re-procured community equipment and wheelchair services. Attain, in conjunction with NHS Luton Clinical Commissioning Group, was highly commended by the HSJ Value in Healthcare Award 2015 in the Value and Improvement in Procurement Award. This major programme of work integrates out of hospital services to achieve improved outcomes for the people of Luton. Attain provided strategic advice to NHS Wales for the commissioning and procurement of mental health services for the population of Wales. Activities included: (i) review of quality standards and patient outcomes, (ii) service specification development, (iii) commercial options development and (iv) implementation – procurement, provider contract management and internal policy development. A member of our team led delivery of all elements of the commissioning cycle to implement a new GP out of hours and urgent care service. This work delivered financial savings of 25% year on year while delivering improved quality of service through vertical integration. Members of the Attain team developed a Capability Assessment for PCT staff, evaluating current capability across key themes of maturity, covering various aspects of the commissioning and procurement cycle – identifying key capability pressure points and opportunities for development. Having engaged five PCTs in the East Midlands a member of our team re-designed the entire commercial infrastructure for Care Home Market, including the development of a robust service specification, quality monitoring tool and pricing model to achieve savings of £3m. A member of the Attain team reviewed internal processes associated with Continuing Healthcare commissioning incorporating Lean/Demand Management principles. This led to process efficiencies of £708k. Members of the Attain team commissioned regional GP services as part of the Equitable Access to Primary Medical Care initiative by taking an inclusive, cross-functional approach. We undertook market analysis, public health consultation, specification development, financial analysis ensuring that the services commissioned represented optimum value for money across fourteen separate agreements. Members of the Attain team developed a unique-to-healthcare solution for a secure, web-based, password protected, interactive demand management tool. 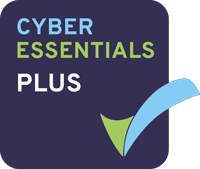 The tool was developed specifically to further support the delivery of the project’s objectives and enable access by both providers and commissioners, without the need for specialist software. A member of our team developed a new care pathway for an under-served client group for Psychiatric Rehabilitation, enabling patients to return to community-based placements whilst introducing an innovative risk-sharing public-private sector partnership framework. Members of the Attain team actively engaged stakeholders to deliver ‘approved provider’ contracts for low secure Mental Health services, for four new specifically created patient pathways, offering choice, safety, quality and value for the commissioners. Helen Pyecroft, an Associate Director at Attain, won the Change Management Consultant of the Year award in 2007 for her work supporting a central government department to prioritise its major change programmes and the NHS in rolling out a new approach to procurement. Helen worked with the Purchasing & Supply Agency to design, develop and roll-out a nation-wide approach to NHS procurement – including working with a team to develop good practice guidance in contract management, clinical transformation and supply chain.